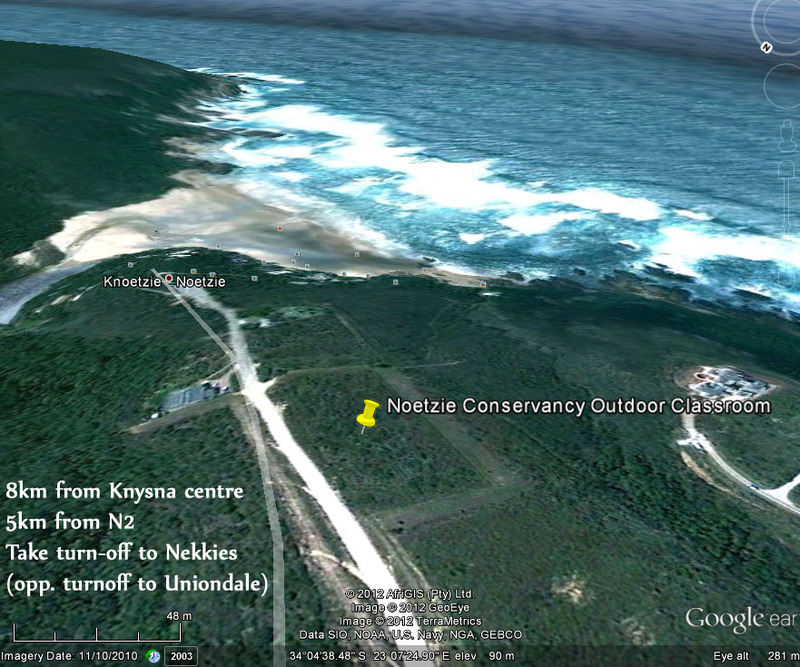 The turn off to Noetzie is just a few Kilometers from Knysna, on the eastern side, opposite the turn off to Uniondale. Follow the dirt road towards the sea, until you get to the public parking area at the end of the road. The road can be quite bumpy in places, depending on how recently it was graded, or if it has recently had heavy rainfall erode it. So drive slowly and carefully. After parking, be sure to lock your car, and do not leave any valuables in sight. There is usually a self-employed car guard on duty. Please do not drive down the old wagon road, because there is no parking available for the public and very little turning space- especially since the river mouth has washed away permit holders 4×4 access via road which ends abruptly in the air. 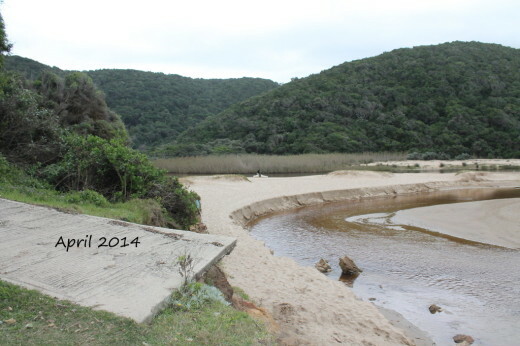 Follow signs to steps to the beach, or you can walk down the Old Wagon Road which is on the far left of parking area. There are public toilets at bottom of the Old Wagon Road- water supplying the toilets is from the lagoon and is not potable, so bring your own refreshments- but take all your litter home with you, please- or dispose of responsibly in primate proof rubbish bins. There are no facilities for camping at Noetzie. How many steps are there down to the beach? How long is the walk on the Old Wagon road = kilometers? I have guests and would like to know please. Hi – sorry for the very late reply. To answer your questions: there are 116 steps. The distance via Old Wagon road is 220m – This is a municipal street and may be used as a drop off for elderly or disabled people. There is no parking for the public, so it is strictly Drop Off and go. hallo.. what is the minimum days that I have to book at any of the castles?